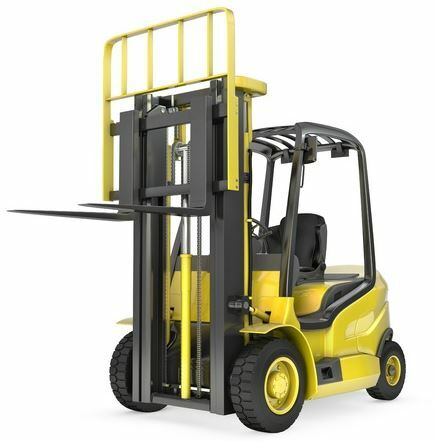 Forklifts have become a necessity for many different companies around the country and across the world. Without them, it would be nearly impossible for companies to transport and store items that they keep in warehouses and other buildings. It would also make life very difficult on those who work in the construction and manufacturing industries. So when did these magical creations first come about, and who do we have to thank for them? As it turns out, forklifts have actually been around now for 100 years. The Clark Company is generally credited with being the inventor of the forklift, says HowStuffWorks, originally called the Tructractor when first created way back in 1917. It hit the market a year later, and within a few years began to see improvements from the very tractor-like design that they featured at the start. During the 1920s and 1930s, manufacturers like Yale, Baker and the logging equipment company Hyster began to make improvements, tweaking the design and adding hydraulics to improve lifting capabilities. The forklift industry got a big boost during World War II when the U.S. Armed Forces realized they needed a reliable way to transport materials on and near the battlefield. It was around this time that companies started shipping items on wooden pallets, and a standardized shape for these pallets began to emerge at the same time, making it easy and consistent for different companies to handle the same kinds of shipments. After the war, forklifts started to make their way into most warehouses, with companies like Lewis-Sheppard and Crown Equipment creating forklifts that were practical for use in the manufacturing field. By the time the 1960s rolled around, companies began implementing more sophisticated electronic controls into the forklifts they were creating as computers began working their way into many different technologies. Many forklift companies also started to merge at this time – Lewis-Sheppard, for example, was purchased by Hyster, while Baker was purchased by a company called Linde in Germany, says LiftsRUs. Foreign companies like Toyota, Nissan and Daewoo entered the market as well, and lift trucks started to become a common tool used by many companies in the 1970s, ‘80s and ‘90s. Today, lift trucks have made it easier than ever for companies to move large loads on job sites, around warehouses and on and off of trucks. From a mere concept a century ago to an indispensable tool today – what a history! Are you in the market for a forklift? If so, Rackers Equipment carries new and used forklifts and can help you pick out the perfect one for you and your company. Shop our inventory online now or give us a call at 573-635-8700 to speak with one of our representatives to find the forklift you need.